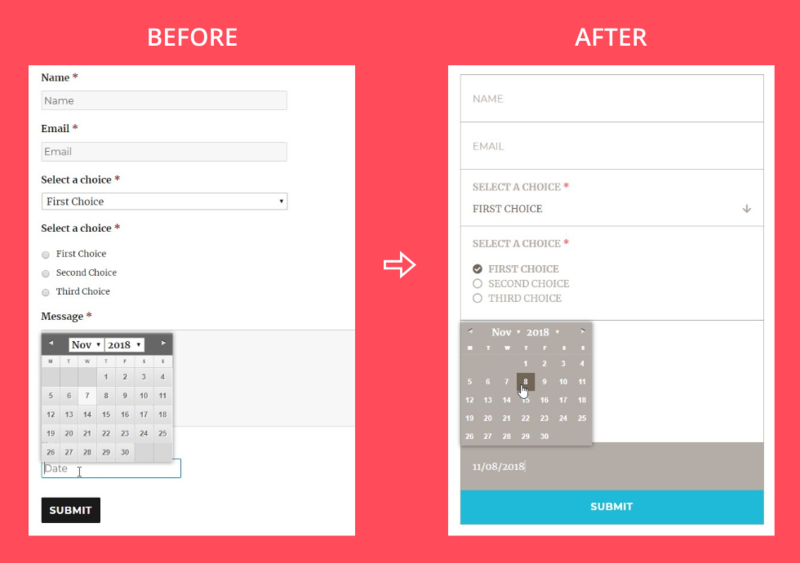 Form Styler Ultimate lets you easily style forms on your WordPress site. 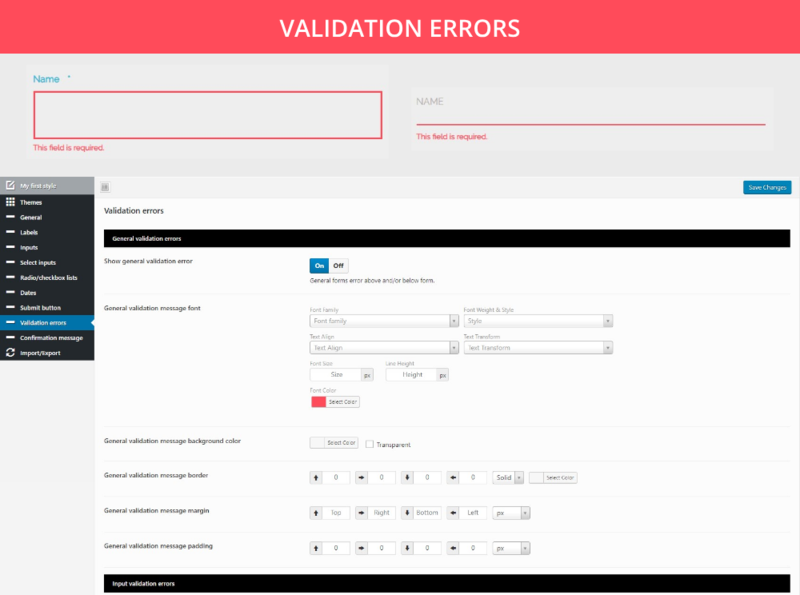 It has tons of features that gives absolute control on the appearance of your forms. Tested and compatible with some of the famous themeforest themes, like Avada, Betheme, X Theme, Enfold, The7, Bridge as well as WordPress default themes, like Twenty Fifteen, Sixteen, Seventeen, Eighteen & Nineteen. 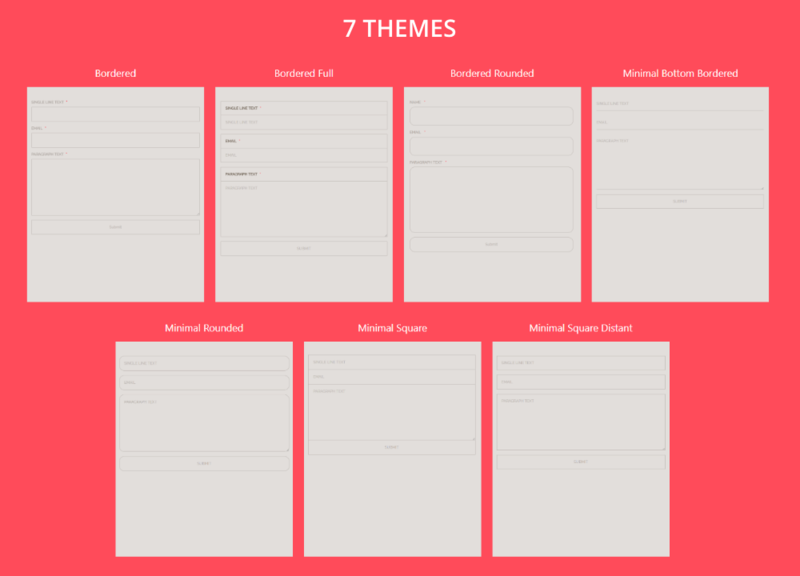 Choose between 11 ready-to-use themes and make cool forms on the fly! 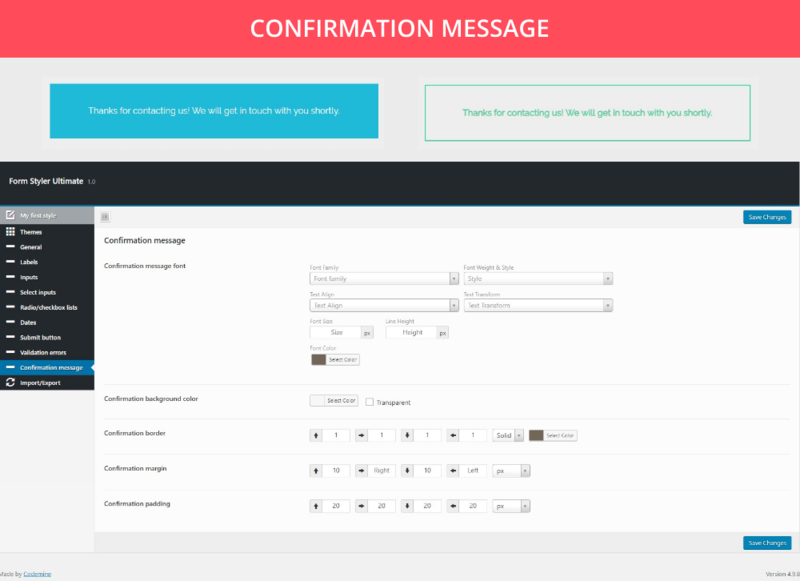 Fully customize your submit button. 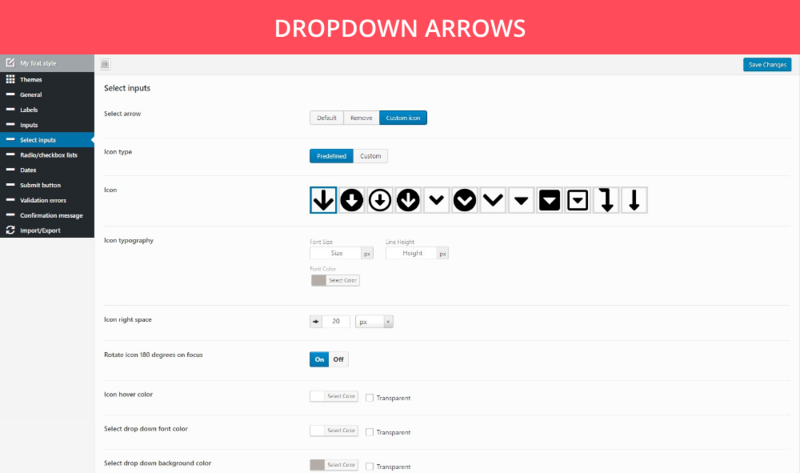 Set the width (100%, auto or custom width in pixel), position (left, center, right), font, colors, border radius, padding, etc. 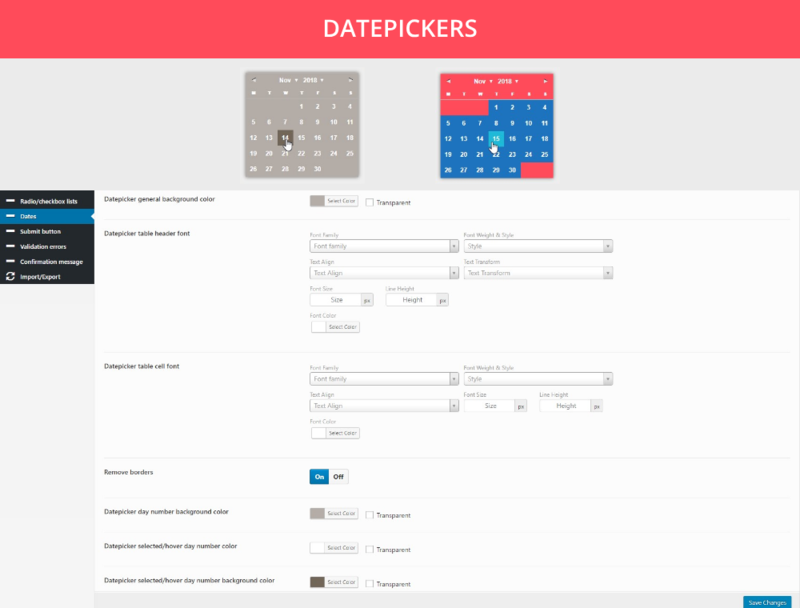 Choose between 7 color skins (grey, black, white, green, red, yellow, blue) for each of your theme and colorize forms on-the-fly. 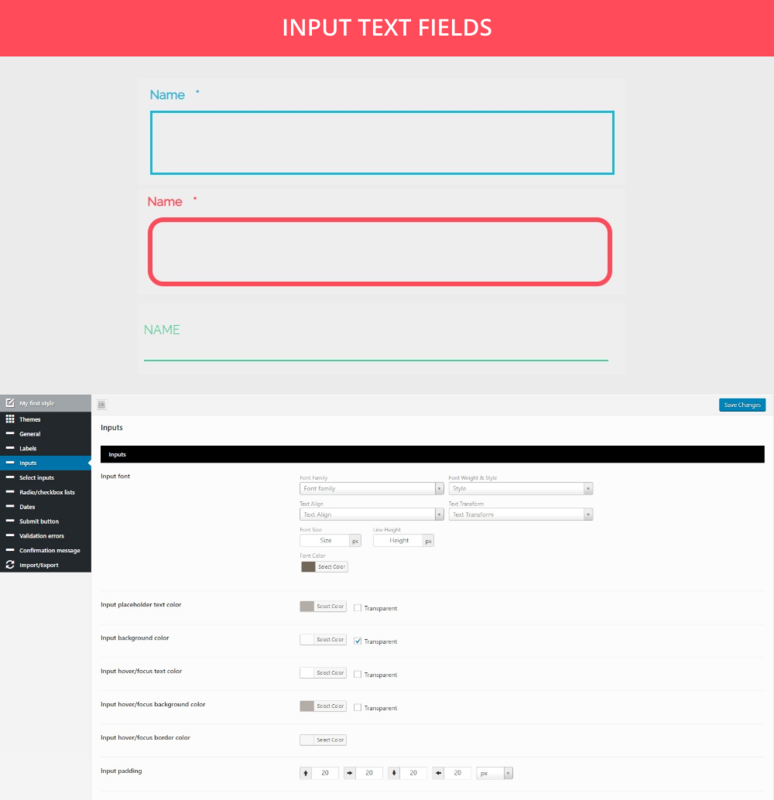 Fully customize the input text fields and textareas. 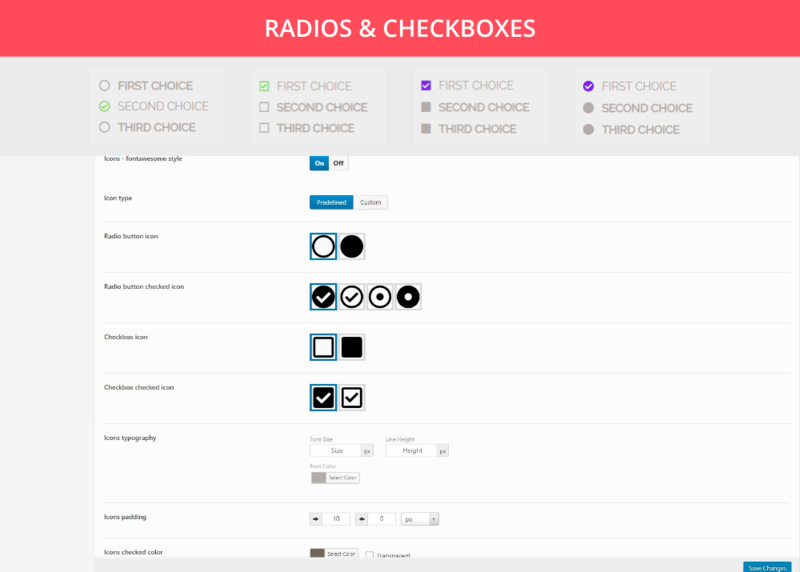 Fonts, placeholders, hover colors and borders, paddings and margins, you have it all! Try it before you buy it! Just visit our demo backend live preview and see all the amazing features in action.